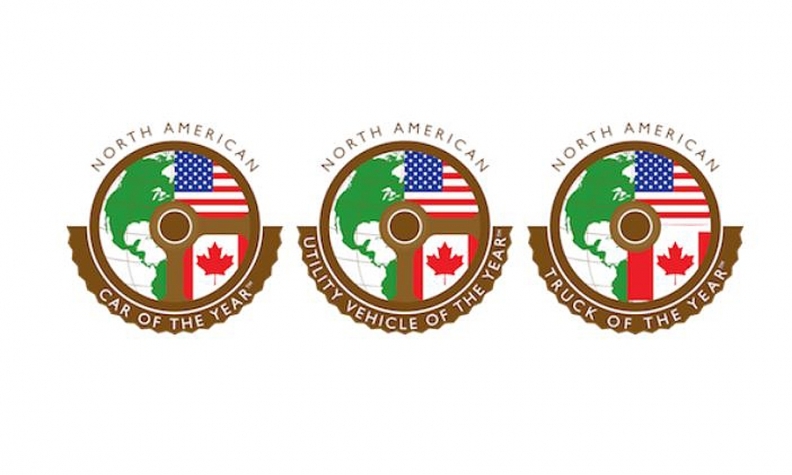 LOS ANGELES -- Three Detroit pickups, a sport sedan from Hyundai's Genesis brand and a new electric vehicle from Jaguar are among the finalists for the 2019 North American Car, Truck and Utility of the Year Awards. Honda Motor Co., with two vehicles among the finalists, has a chance to extend its NACTOY winning streak to a fourth consecutive year. The three car finalists announced Wednesday at the Los Angeles Auto Show are the Genesis G70, Honda Insight and the Volvo S60. There was only one offering from the Detroit 3 automakers — the Buick Regal Tour X — among the 14 car semifinalists. The utility finalists are the Acura RDX, Hyundai Kona and the Jaguar I-Pace. They beat out offerings such as the Jeep Wrangler, Cadillac XT4 and BMW X5. The truck award will be a battle between full-size offerings from General Motors and Fiat Chrysler. The Chevrolet Silverado, GMC Sierra and Ram 1500, all redesigned this year, will vie for the crown. They were the only three pickups eligible, so they automatically became finalists. To be eligible, a vehicle has to be new or substantially changed and go on sale in the calendar year. The nine finalists were selected from a list of 29 vehicles announced in September. The winner in each category will be unveiled in January at the Detroit auto show. The roughly 60 jurors are automotive journalists from the United States and Canada. They include Automotive News' Richard Truett, an engineering reporter, and Sharon Silke Carty, mobility editor.